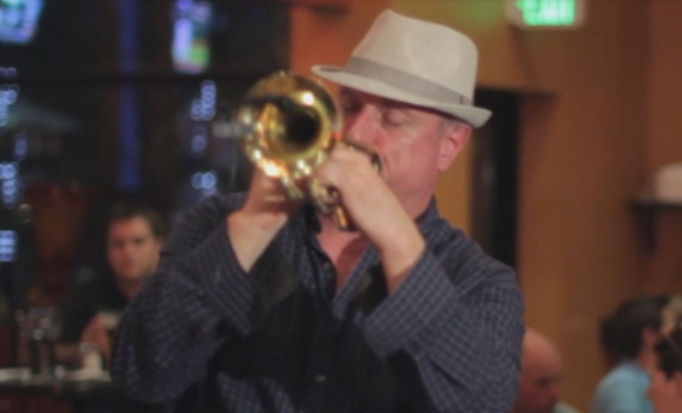 An experienced performer and trumpet educator, Jeff Carver can be heard playing trumpet, flugelhorn and singing a variety of styles of music around Minnesota and throughout the United States. Jeff is also a studio musician, clinician and private trumpet teacher. With Jeff’s smooth dark trumpet tone, meloncholy flugelhorn sound, and passionate vocals, it’s no wonder his “Solo Show” is in such high demand.